Berlin, Germany, June 2018 - The noblechairs family is growing, with the introduction of the HERO Series. 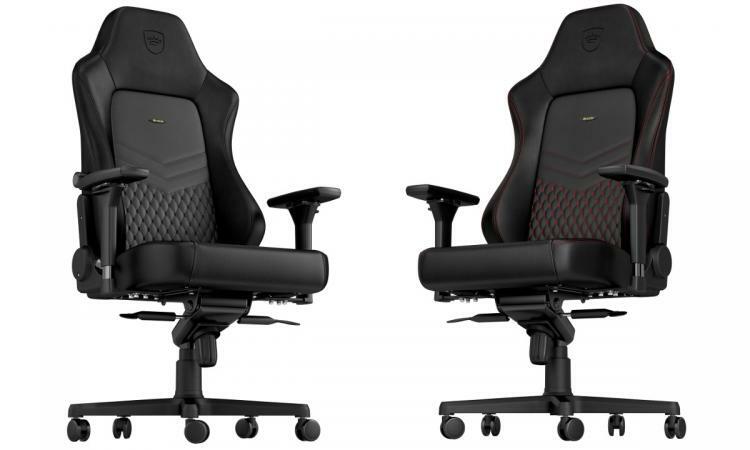 This new ergonomic gaming chair range brings features never seen before in noblechairs, bolstered by the material quality and aesthetics that the brand has established itself with. 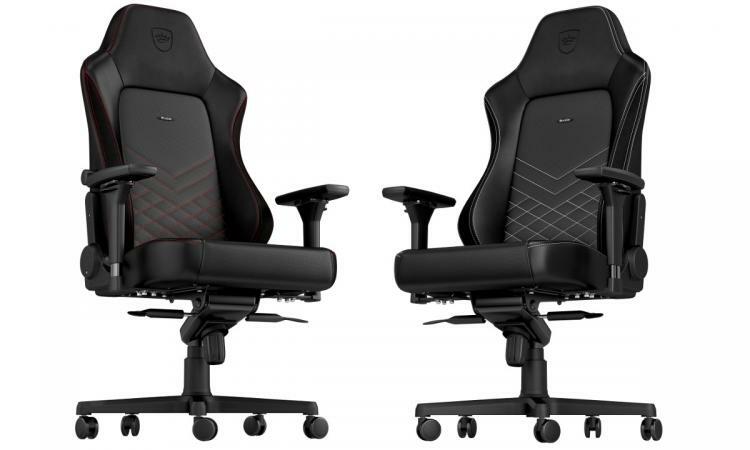 Built from the ground up with esports players in mind, the HERO is a luxury chair that’s perfect for long sessions at the computer. Find the Vortez.net Reviews of previous noblechairs designs here! In response to customer feedback, this model hosts a brand new integrated lumbar support. This feature, only usually found in high-end cars, allows you to quickly adjust the lumbar support in the chair via the use of a knob and offering hassle-free comfort. The headrest is fully outfitted with memory foam, in order to provide relief and pain prevention for those that spent long periods of time in front of the computer. 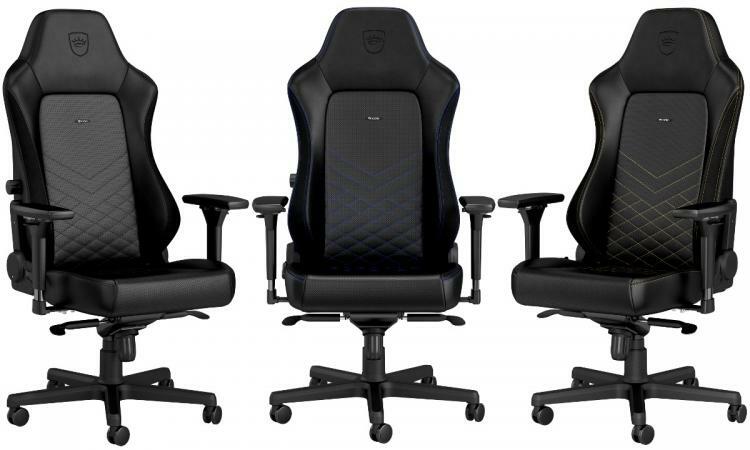 The HERO is the largest in the noblechairs line yet, possessing new armrests, a wider seat base and a taller backrest. Merging these qualities with large amounts of padding and memory foam on the headrest creates an experience that would make any user feel right at home. The HERO is launching in 8 striking color schemes: 6 utilising PU faux leather upholstery, and 2 encased in 1.7mm thick top-grain real leather. The pillows packaged with each model feature stitching in the colour of the chair’s stitching. Both real leather models feature gold coloured stitching. The HERO Series is now available at most major online retailers across the world, and priced at £349.99 for PU models, and £579.95 for real leather models in the UK (inc. V.A.T.). More detailed information on this and other members of the noblechairs product series can be found at noblechairs.com.